It’s always a special day to open the mailbox and see your image on the cover of a manufacturing catalog. This image is from a great trip to Alaska with a good fishing buddy, Tom Melvin. The moment I saw the light and the tail I knew I had something to work with. Pink Salmon are such amazing fish, I can’t wait to get back to photograph them again. For all the latest and greatest in fly fishing check out the Orvis website and sign up for their catalog! The World Premier of Corazón played to a pack crowd in Colorado on the first stop of the 2017 Fly Fishing Film Tour this weekend. Mike Dawes ties a bimini twist on the porch of an old crumbling lighthouse located where the Gulf of Mexico meets the Caribbean sea. This short film is a real story about runaways, travelers, anglers, brothers, humans and hearts. I am pleased to announce the trailer for the 2017 Fly Fishing Film Tour film, Corazón has just dropped. This is a film created by our collective group, Off The Grid Studios. It was great to spend time working with such an inspiring story with an incredible group of individuals. And that’s a wrap! We just finished the last scenes for the new film project premiering in 2017 with the Fly Fishing Film Tour and we all couldn’t be more pleased. The filming and interviews are completed and our editors, writers and music engineers are putting their final touches on to the project. A big thanks to the man with a giant heart, “Sandflea”! We are all going to miss Mrs. Sandflea’s home cooking! And a huge thanks to all those who opened their door to the production team, we miss certainly Mexico already. I spend a week fishing and shooting in Utah. The target specie was Tiger Musky, a mutant breed: Muskelunge x Northern Pike + test tube = Tiger Musky. These ferocious toothy fish are a blast to fish for. Over the years I’ve targeted a few areas using various methods. These are a fun fish to catch and you can use so many different types of methods to catch them. This particular trip we targeted them on the surface using patterns tied by none other than Brent Dawson of Warpath flies. Brent is a master tier and his specialty is large technical flies. 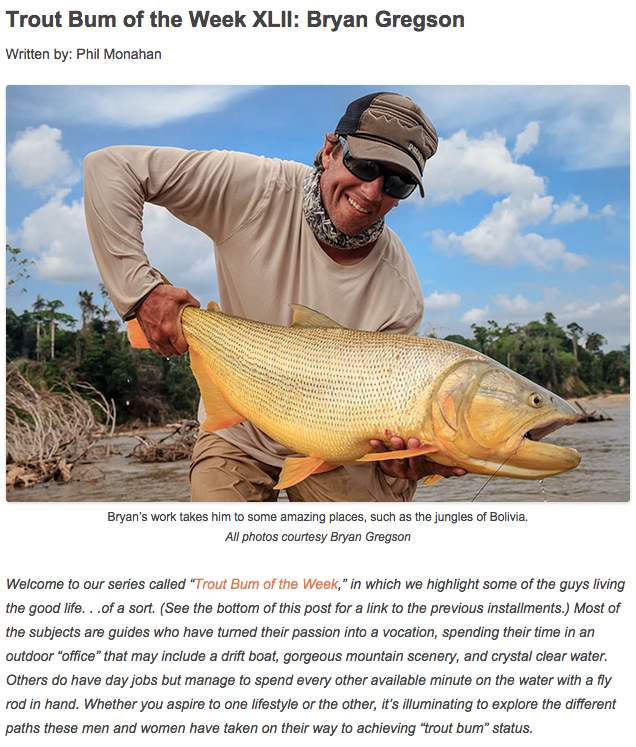 No wonder anglers like Jeff Currier and Mikey Weir and travel companies such as Yellow Dog Flyfishing Adventures use his flies globally. Tested and approved. If you need flies give Brent a ring, you wont be disappointed.